Having a mix of dresses, skirts and tops is perfect if you’re someone who likes variety and a fresh look every day. But what else can you do to keep your wardrobe looking current and on-trend? Distressed denim is huge right now — and even better, it’s so easy to create yourself at home! Check out this simple style guide and make the perfect pair of on-point distressed jeans or even a denim jacket like I've done. Piece of cardboard or a thick magazine. Once you have these, check that your chosen jeans are clean and dry. Then, pull them on and use a full-length mirror to decide where you want to tear and cut. Pockets, knees and the bum are popular parts to modify, as they are the areas of the jeans that naturally wear and tear. Use chalk to mark out where you want to distress. How you customise your jeans is up to you, but we advise that you don’t cut through the front and back — instead, only cut one side of your jeans. To do this, stuff the area you intend on cutting with a chunky magazine or thick piece of cardboard and aim to make a diamond-shape cuts of varying lengths. This will help ensure your tears are natural-looking. 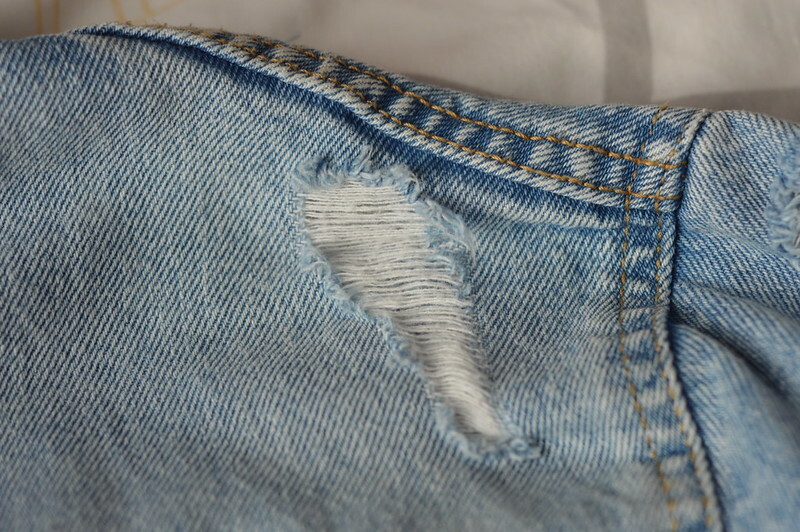 Next, it’s time for fraying to get that true distressed quality. Along the edge of each cut, gently tease the horizontal white threads using a safety pin — be careful not to break them. Then, using tweezers, pluck out the vertical threads to leave just the white horizontal threads. Repeat this for each cut. At this point, your jeans should look pretty distressed, but you’re not finished yet. Now, it’s time for sandpaper. Rub a medium-sized piece of sandpaper across the denim to create a natural-looking colour fade and stop when you’ve reached the worn shade you like. Now, you can either step back and admire your distressing handiwork, or take it a step further by adding patches to your customised jeans. Bright floral motifs are in vogue and practically leap off distressed denim to give you an eye-catching contrast of grunge and chic. If you want a subtle embellishment, why not go with lace? This is a classic feminine fabric that will dress up your modern distressed denim with retro charm for the ideal smart-casual look. 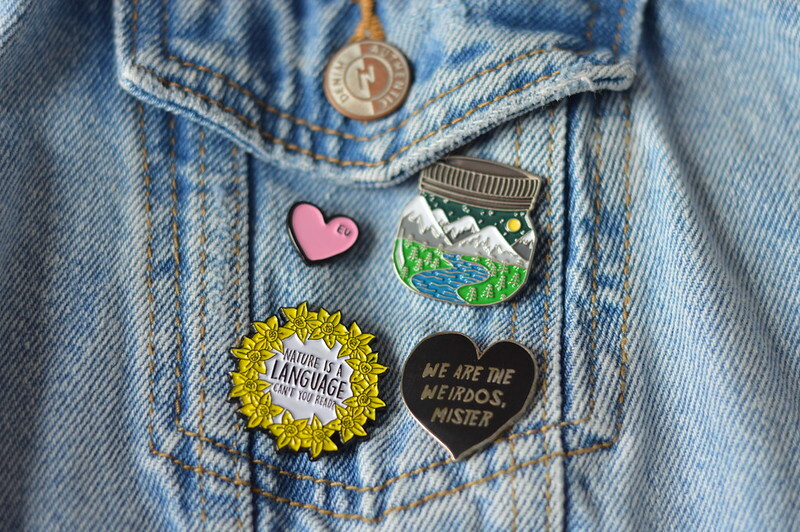 I've added a touch of personality to my denim jacket with a selection of my favourite pins. I change these on a regular basis because I've got a huge collection of fun pins and badges that need their 15 minutes if fame. I get most of mine from Punky Pins, La La Land and etsy sellers like my Gilmore Girls one from Copper Boom Studio Shop. And that’s it — DIY distressed denim. Rock these with an oversized sweatshirt or graphic tee, or create a casual-chic look with an off-the-shoulder boho blouse and pumps. 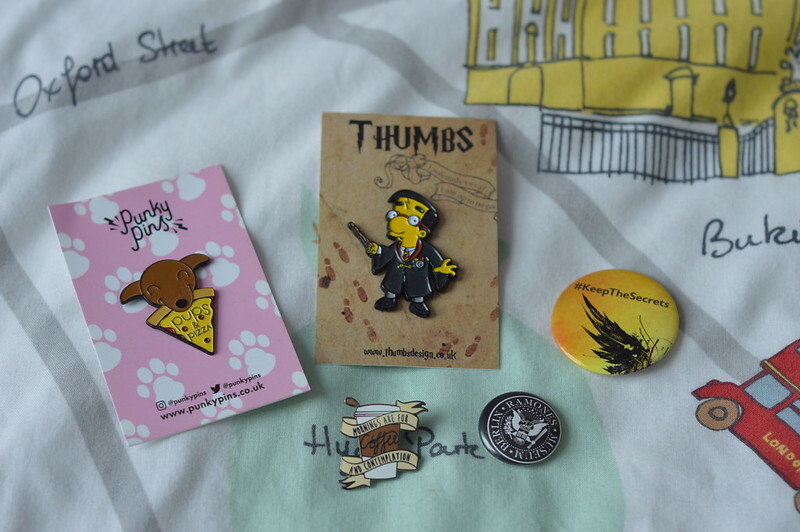 I really need to treat myself to some new pin badges! I must admit I've never actually customised any of my clothes before and jeans seem a great and easy way to do so. 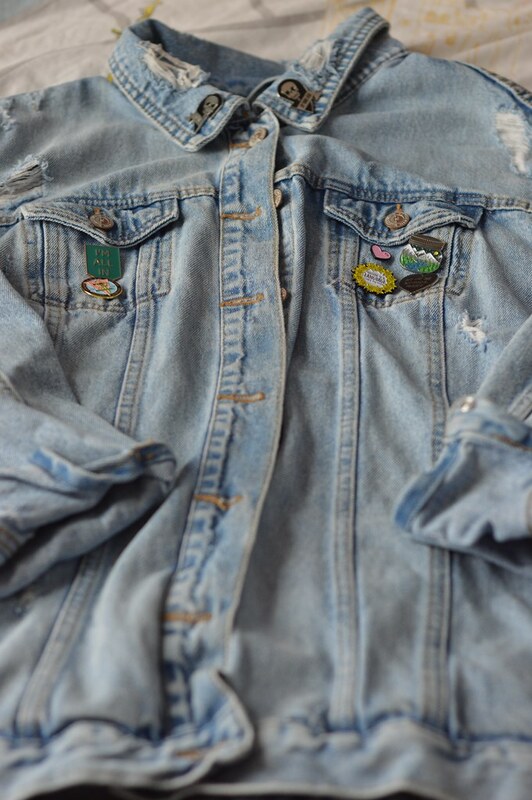 I usually Chuck out jeans when done with them so like this idea. I have never tried 'distressing my denim' before but I do have distressed denim pieces. I would love to make some of my old jeans a bit edgier so that I can wear them! This is an amazing DIY! I love all of your pins too! So freaking cute! I have never tried distressing anything before, but you have made this look so easy! 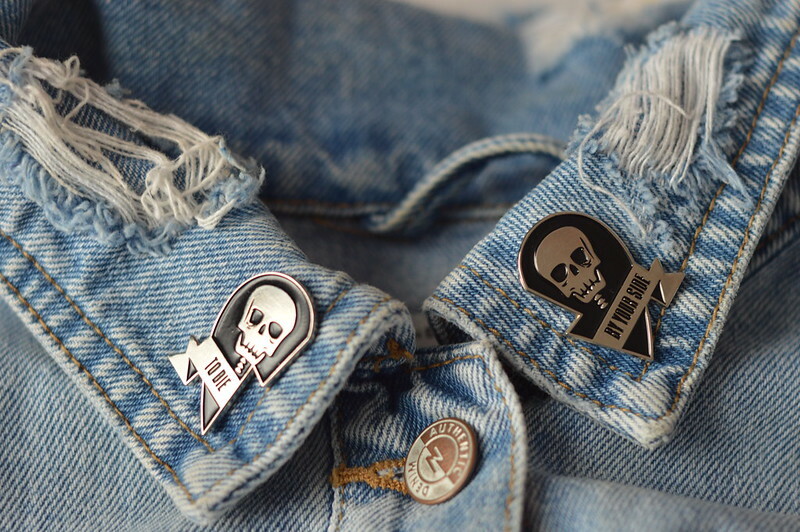 I love the idea of customising it with pin badges that are easy to change, gives an easy way to update your style and match with different looks.